I do pencil, ink and color - either by hand or digitally. I can scan art and send it digitally, or send hard copies via mail if you compensate me for postage. Visit my Gallery for samples of my work. Contact me with details on the job, and I will get started. I will log the hours it takes for me to complete the work on the product, and provide regular updates if so desired. You will be sent a low-resolution copy of the picture for approval before payment is decided. After payment, you will be given a high resolution copy in whichever format you prefer. Payment will be negotiated upon contact. I prefer PayPal, but will consider other methods which we agree are acceptable. Joel Furches is a member of the speaking team The Mentionables. Team members are available to speak individually or as a group. Joel is available to come and speak at your church, group, classroom or conference. For a sample of the types of talks Joel gives and his style, check in the videos section of the website. Just contact Joel to set up the details. Contact me to send me a copy of your book. If I like it, I'll endorse it. Basically, you review my book and I'll review yours! Contact me and show me the blog, website, media outlet or publication for which you write. If I like what I see, I will send you my book, and you will send me yours (or compensate me for the purchase of your book from Amazon for my *Verified Purchase* review on Amazon). I'll write a review for you as detailed in Package 3 below, and once you post your review, I will post mine. You don't have to be dishonest with your review. Tell your readers exactly what you think about my book, and I will still post my honest review about yours. Contact me. I will send you an e-mail with questions about your book, your background, your inspirations, etc. You answer the questions, and return those answers to me via e-mail. I use your answers to write a profile about you and your book. I will post my article on the news and media site Hubpages. The article will be visible with web searches, and is shared with the audience of readers who go to hubpages for news and information. You may also share the article freely. 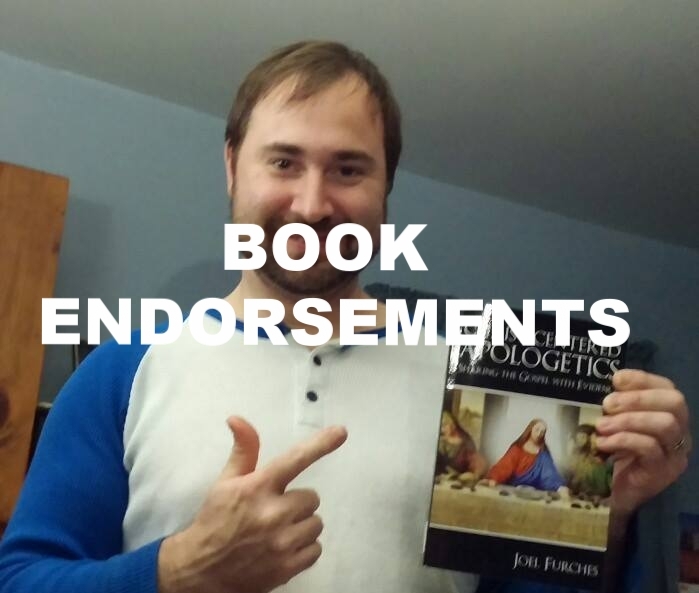 Contact me and provide me with a hard copy of your book (or compensate me for the purchase of your book from Amazon for my *Verified Purchase* review on Amazon). I will read your book and write a review of your book on the news and media site, Hubpages. I will also write a review for your book on its Amazon profile (which will show as a *Verified Purchase* review if you compensate me for the cost of purchase). I will provide full social media exposure to the article, sharing it with - as appropriate - as many as 15 different Christian, Christian Apologetics, and print media-related Facebook groups with exposure to up to 45k people; I will also promote the article on my personal Facebook page, my Google+ feed, and my Twitter feed so that it will be seen by my hundreds of followers**. If you have additional sites on which you wish me to review your book, such as its Barnes and Noble profile, Goodreads profile, publisher's website, etc. let me know and I will post reviews there as well. *All book reviews will be my honest thoughts on the book. I will always promote the virtues of a book, and suggest it to the audience I feel would best benefit from reading it. If there are any constructive suggestions I feel need to be made, I will gently make them. **Fiction books will receive less social media exposure due to the nature of my connections. Non-Christian books will also receive less exposure. Books related to Christianity in any way will receive a decent amount of exposure, but for the maximum amount of media exposure, the book should relate to Christian Apologetics. Send your document to me in Microsoft Word format. I will make grammatical corrections, and also offer my feedback on the writing and content. Joel offers English-to-Portuguese or Portuguese-to-English translation. Same rates as Editing. Joel can edit and also translate any text at no additional cost. I do pencil, ink and color stenciling. I can scan art and send it digitally, or send hard copies via mail if you compensate me for postage. I do not take all commission jobs. It has to be something on which I feel I could do a quality job. Visit my Gallery for samples of my work. Contact me with details on the job, and I will tell you whether I accept. I will log the hours it takes for me to complete the work on the product, and charge you accordingly when I complete the work.